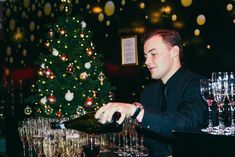 Tis’ the season to eat, drink and be merry and as one of London’s top event caterers we make sure that the capital is well fed and watered throughout the festive season. One of our favourite types of drinks to serve during Christmas is a festive cocktail – they are a fantastic alternative to a sparkling wine reception. This is a fantastically festive alternative to the classic margarita- the seasonal blood orange is perfectly juxtaposed to the typically summery flavour of tequila and it works brilliantly. The candied slice tops off this wonderful cocktail. It’s a cocktail that would never be expected at a Christmas party which is why we recommend serving it. Gin is possibly the most fashionable spirit at the moment and this cocktail is really easy to make, you can do it yourself at home to impress the family at Christmas! The gin and soda water are a classic combination, the addition of the cranberry juice gives a brilliant sharpness and festive flavour. The finishing touch of a sprig of thyme really emphases the festive flavour and gives the cocktail a scent reminiscent of the classic Christmas dinner. With the cranberry and allspice you get those more traditional winter flavours and scents in a drink, and the wonderful pink colour of this cocktail is a real crowd pleasure. The allspice adds a warming touch to this wintery drink, give it a try and you’ll know exactly what we’re talking about! 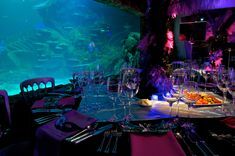 Merlin Events offer cocktail receptions as an optional enhancement to any event from just £7.50+VAT per person. Life is better in flip flops –are holidays essential to our well-being? Pass the cheese – it’s the Christmas charts!